Mykonos is small and you can do a lot of walking but it is too big to walk everywhere, especially in the hot summer months, when the sensible thing to do is to take a bus wherever possible. An efficient village bus service operates in Mykonos that can meet anyone’s needs, day or night. Bus services known as KTEL get extremely busy during the summer season. 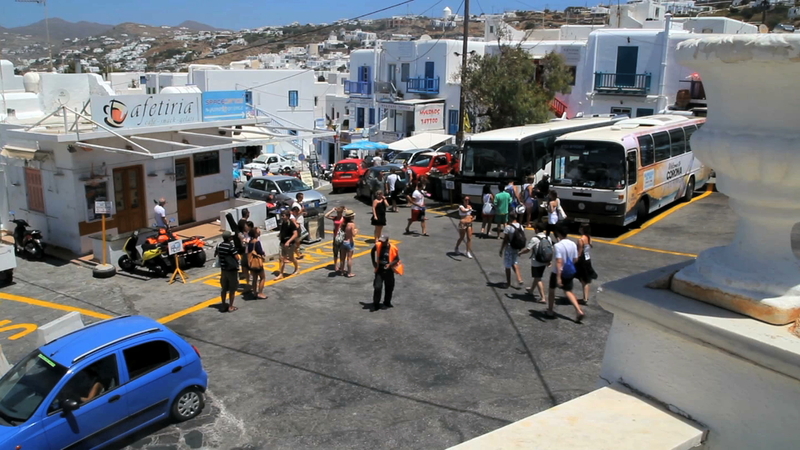 Fortunately visitors can catch the bus from any three main access points found in or within the vicinity of Mykonos town, also known as Chora. The first point is at Fabric square, the second point is at OTE (the phone company building) and the third is at the Old Port. From any of the three points, passengers can check the schedules, routes and purchase their bus ticket accordingly. Bus routes and schedules are frequent during summer, so be sure to check the schedule for changes on low season.